Real Madrid may have to let both Luka Modric and Gareth Bale go if they want to seal a deal for Spurs forward Harry Kane. This is according to Don Balon, who note that the north London side’s chairman Daniel Levy is wary about accepting just a cash-based deal from Real Madrid for Kane, and thus wants Modric and Bale, as well as a fee, in a deal for the England talisman. This means that, if Real are serious about bringing in Kane, they may very well be forced to ship out both Bale and Modric in order seal a deal for the Three Lions star. 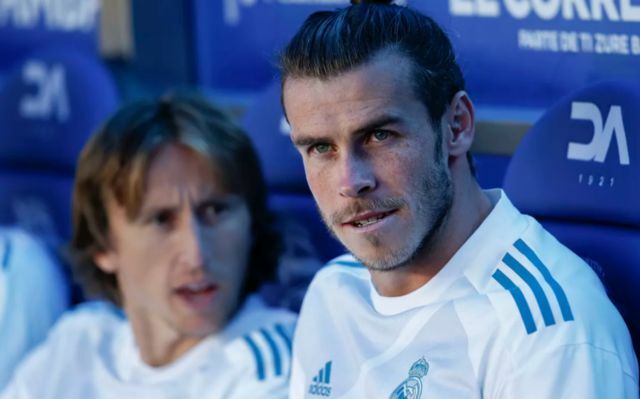 Given the legacy that both Modric and Bale left at White Hart Lane during the duo’s time with Spurs, this deal may be one that is worthy of going through with, even if it is just to appease the club’s fans. Modric became one of the Premier League’s best central midfielders during his time with the club, and seeing him become a winner of the ‘The Best’ award, as well as World Cup Golden Ball award, will surely have fans of the north London club dreaming of what could’ve been had he stayed. Bale was one of the best and most exciting players on the planet during his last few years with Spurs, and although the club got a huge sum of cash from Real for his transfer, seeing him depart was still hard for most fans of the club. Kane has been one of the best forwards in the world these past few seasons, and seeing him leave would definitely be a killer blow for Spurs. However, if it means brining back to fan favourites in Bale and Modric, it may just be worth getting rid of the England forward.